Simi is quite the character in her music videos, most of them designed to mimic a Nollywood script. In real life, her storied fashion faux pas feels like a cultural spectre still hanging over her head, and for a long time she was speculatively involved in a romantic trifecta which brought its own kind of drama. Which is why the announcement of her debut in Nollywood today hardly comes as a surprise. Via his Instagram, Kunle Afolayan officially introduced the Jamb Question singer as a cast member in his new movie Mokalik, a Yoruba movie wherein she will play a character named Simi, as in, she’s starring with her name unchanged because, levels. The story of Mokalik (Mechanic) follows the career of an 11-year-old boy Jaiye from the middle-class suburbs who spends the day as a lowly apprentice at a mechanic shop, in order to view life from the other side of the tracks. According to the award-winning director, Mokalik is a slight departure from the flicks he has helmed in the past, adding that there will be two versions of the film – one for the Nigerian market and the other for the international market. Screenplayed by Tunde Babalola, Afolayan conceived the idea for Mokalik during his constant visit to the mechanic workshop where he refurbished his much-publicised vintage car recently – a Thunderbird Ford 1965. “Visiting the mechanic workshop after 15 years opened my eyes to a lot of things that I believe the world should know about our local auto car repairs industry,” Afolayan said. 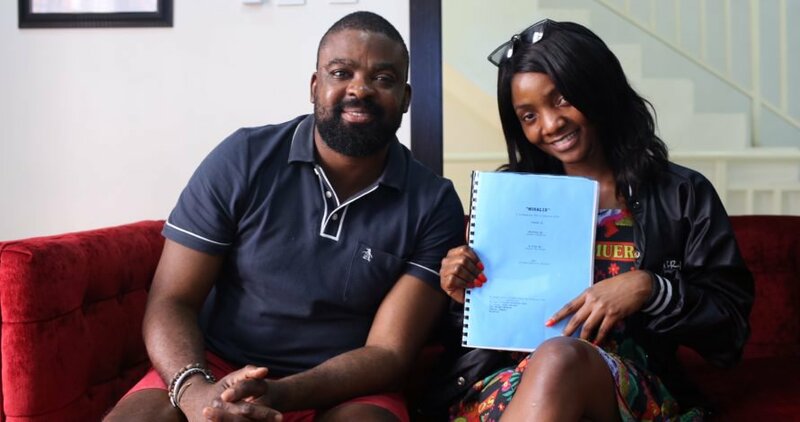 In an all-Yoruba cast movie, Simi will feature alongside Femi Adebayo, Ayo Adesanya, Faithia Williams, Lateef Oladimeji and comic actors like Wale Akorede (Okunu), Ayo Ogunshina (Papa Lolo) and Dayo Akinpelu (Alabi Yellow). No release date for Mokalik has been announced yet, but we will bring you updates as the movie develops.